Story telling is an integral part of my holiday experiences in India, and now that there is a suitably magnificent hotel to stay at in Hyderabad, a visit there will be richly rewarded. 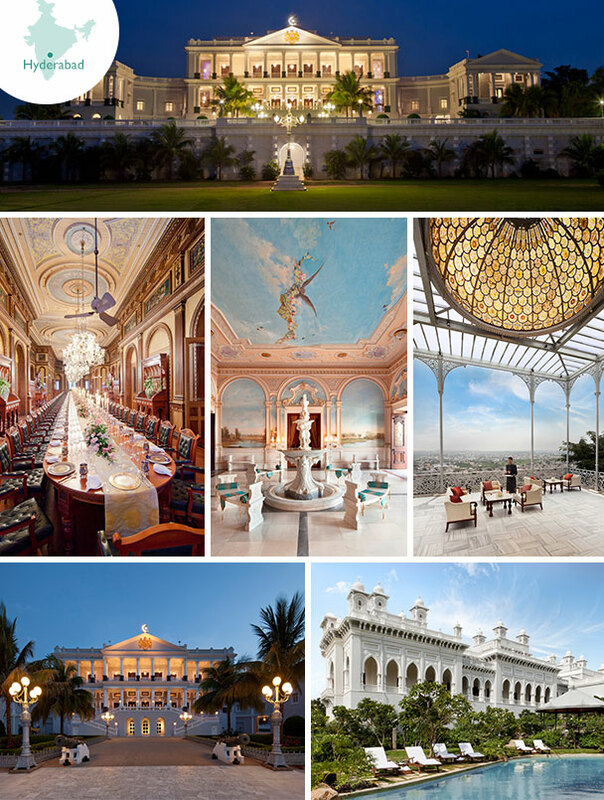 The Falaknuma Palace is built in the shape of a scorpion and boasts a replica of the library at Windsor Castle, the longest dining-room table in the world and an arrival ceremony fit for royalty. It was completed in 1894 by the then Prime Minister of Hyderabad. The story goes that the Nizam arrived by elephant for a scheduled one-night stopover but stayed for twenty days; he loved the palace so much, his Prime Minister felt obliged to give it to him! Wind back nearly a hundred years and this city was the setting for some scenes of high drama between neighbouring Indian rulers and the British East India Company’s leading official known as the Resident. It was the period when Napoleon was intent on taking India, claiming “the touch of a French sword is all that is needed for the framework of mercantile grandeur to collapse”. Well, he got as far as Cairo before Nelson sunk practically the entire French fleet at the battle of the Nile and the Emperor’s India ambitions were summarily quashed. Not surprisingly, the British residencies had been nervous of their position for quite a while. James Kirkpatrick the Resident at this time had, much to the dismay of the Governor General, Lord Wellesley, become orientalised at the court of Hyderabad. It’s a fascinating story but it will be best if, as you are taken for a walk through the gardens of the crumbling British Residency, one of the lovely Indian lady guides tells you of his trysts with a local Muslim noblewoman– a tragic romance that I am sure will hold your interest until you retreat to the splendour of the palace and look out over one of the most historically fascinating cities in southern India. Hyderabad is well connected to other cities in India and so is ideal as an add-on stay after you have toured Rajasthan, Kerala, Tamil Nadu or the tiger parks – or even a long weekend as British Airways flies direct to Hyderabad.